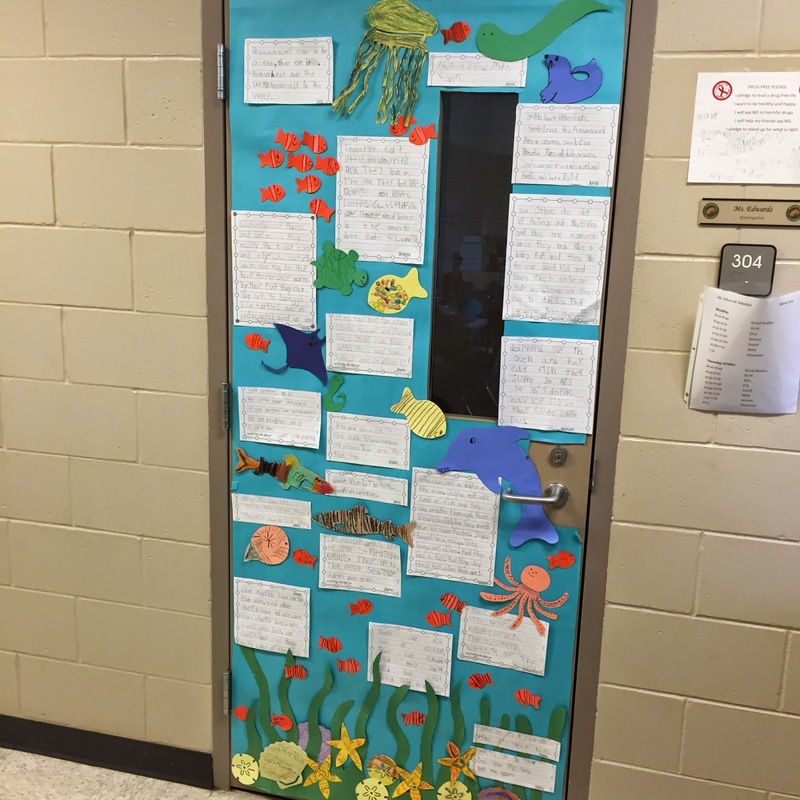 Happy that my students and I finished our door! This one is taking us all the way until the end of the year! 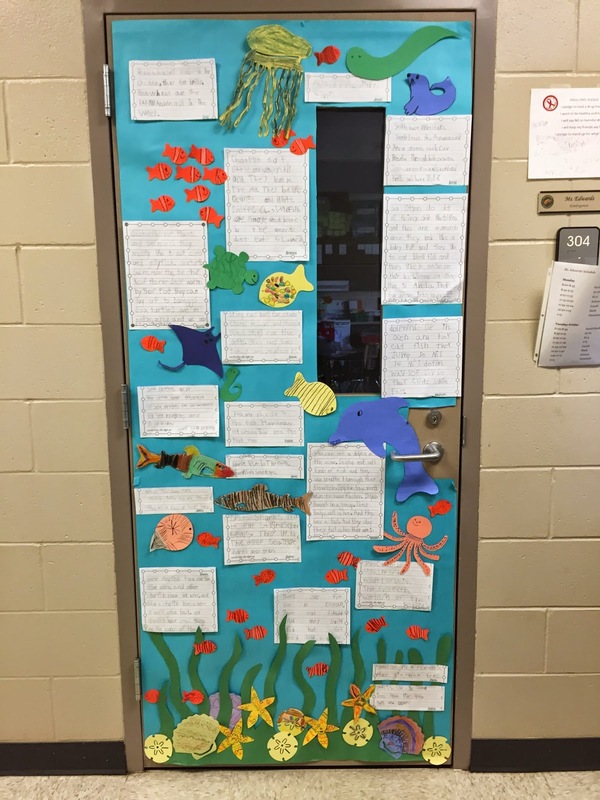 For about 2 weeks, my students explored ocean animals through books and online. They were allowed to read these books (I had about 30 of them from our school library, whoops #hoarder) anytime that we were doing some kind of reading. 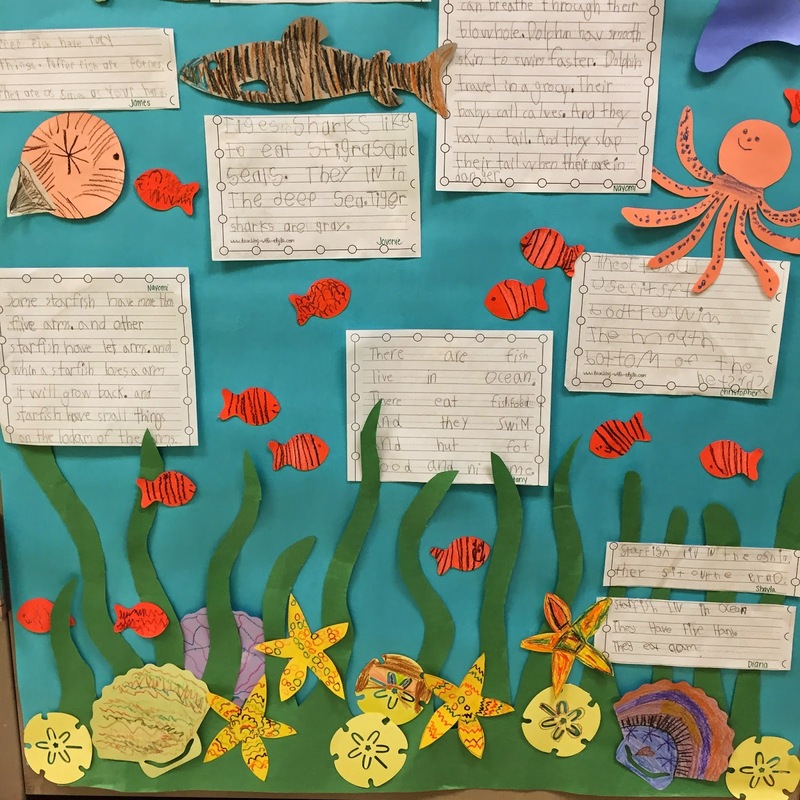 I then had them pick their favorite sea animal which they had to write a report on. So much learning going on in these little kinder's minds! I will post some close ups of the writing soon! Also, I started a new supplies table system. 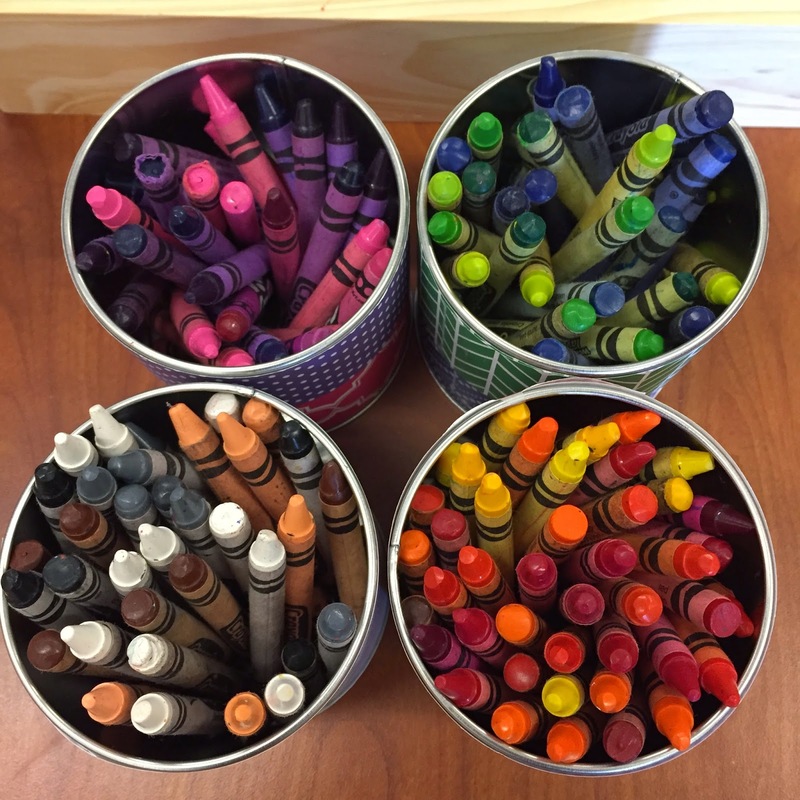 Two words- COMMUNITY CRAYONS. Why have I never done this? Sorted by color and everything! P.S. 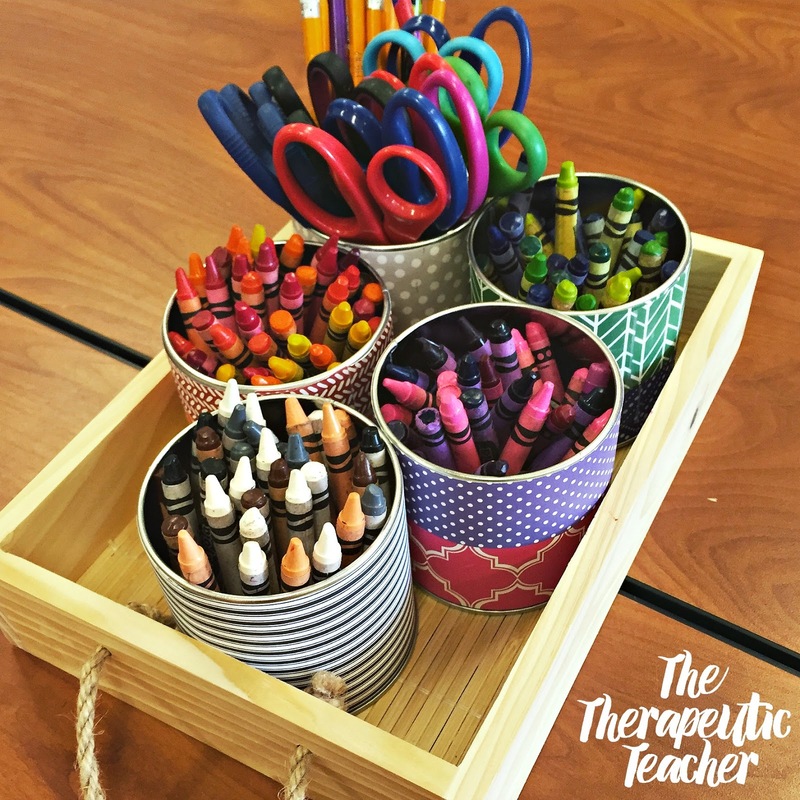 It took every ounce of self control to not fill these with fresh, new crayons and pencils.. August will be here soon enough... I shouldn't be thinking of August. 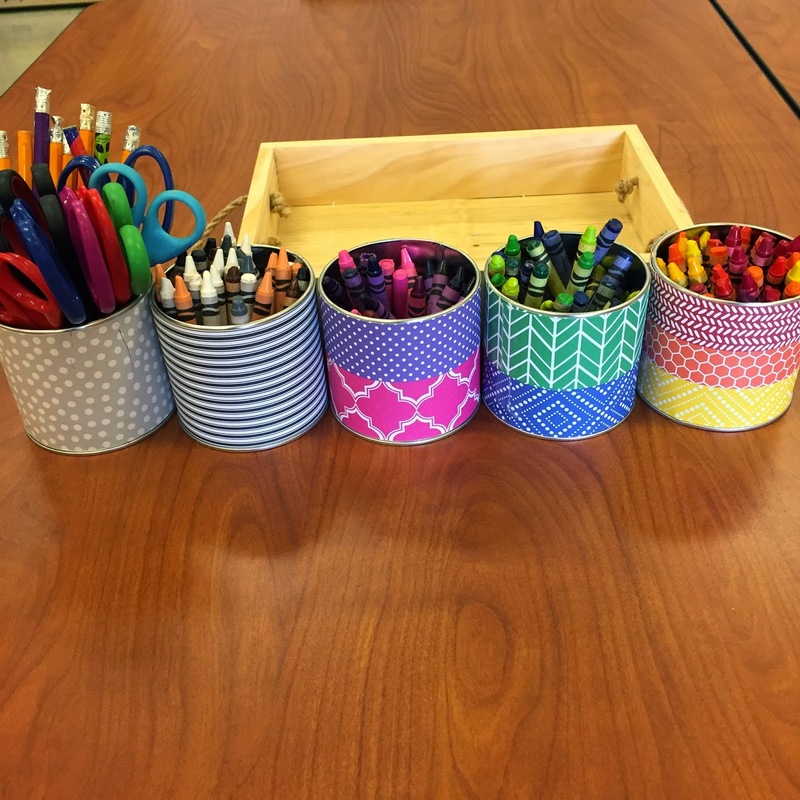 The cans are called seed containers and are from the Target dollar spot! Woohoo! I just covered them using scrapbook paper & tape! 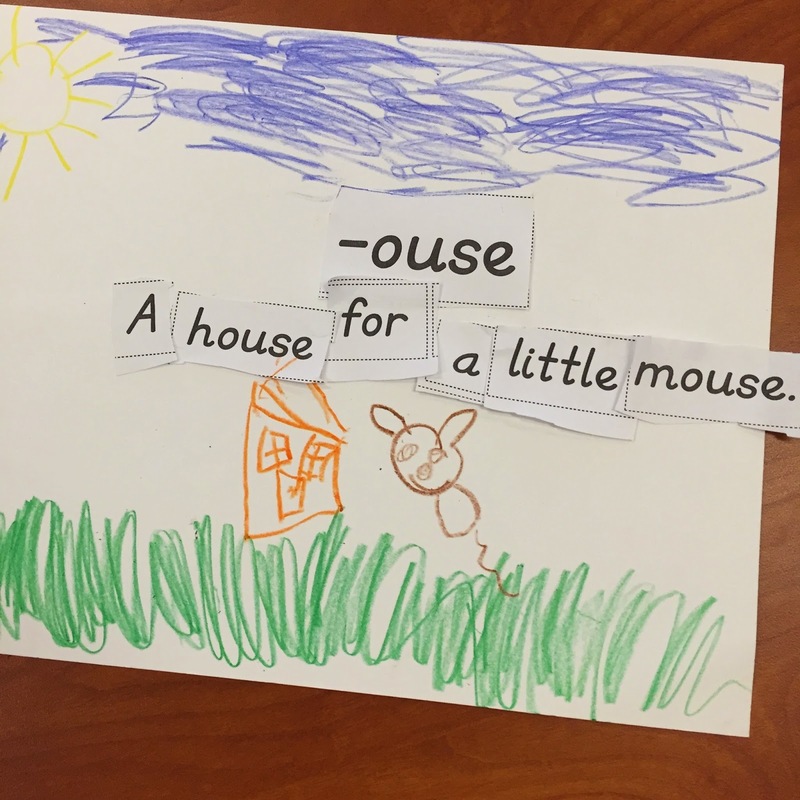 I have an ELL student who loves making these during word work. They work great for vocabulary! 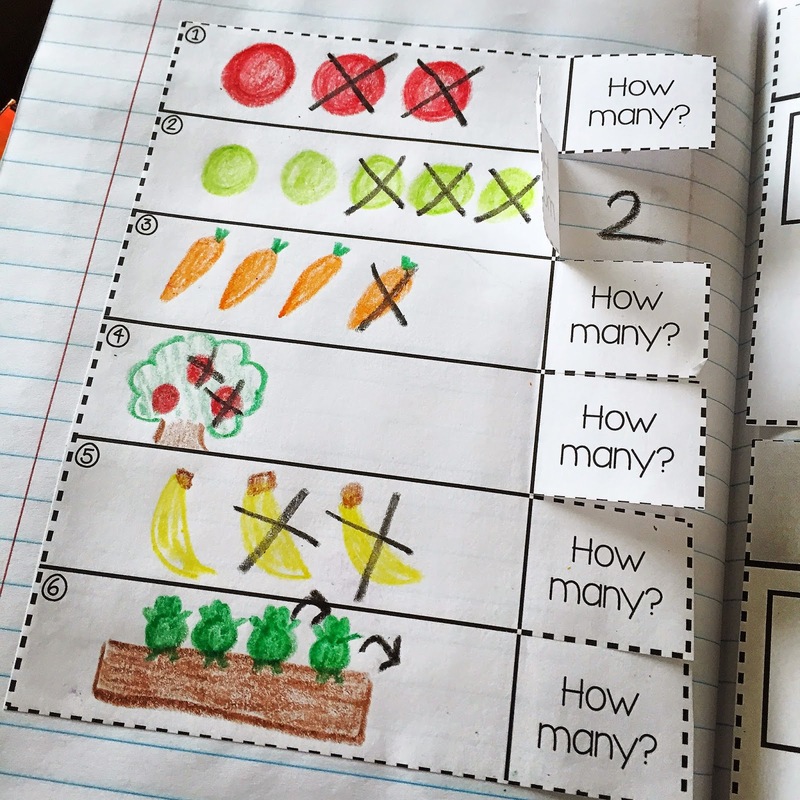 Another fun activity I've been using to help with listening skills. I read a word problem and they have to listen and answer. Easy to differentiate for any level. Click the picture to check it out! Happy Sunday! Hope everyone has a fantastic week! We have less than 30 days left! How many do you have? !